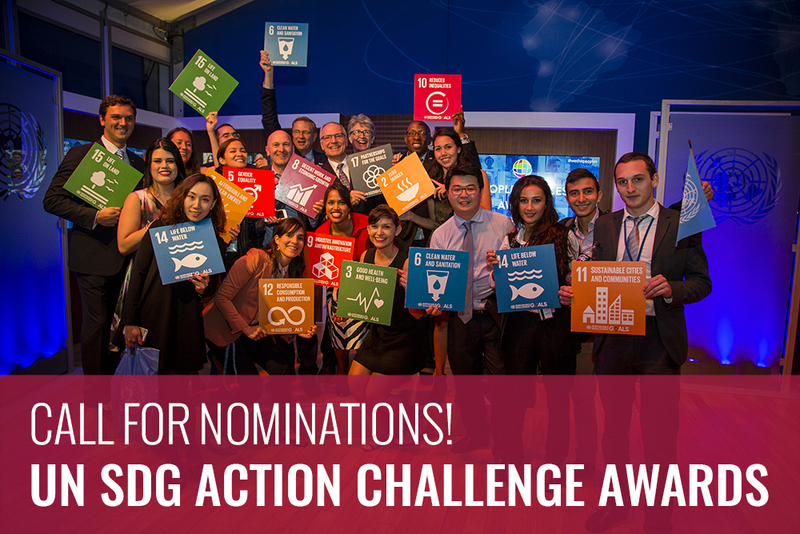 CALL FOR NOMINATIONS – UN SDG Action Challenge Awards! The UN SDG Action Campaign are calling for nominations for the inaugural UN SDG Action Challenge Awards program! Nominate your colleagues and peers now! Applicants and nominees will have a chance to win a UN SDG Action Challenge Award at the UN SDG Action Challenge Awards Ceremony on 21st March 2018 during the Global Festival of Action for Sustainable Development in Bonn, Germany (21-23 March 2018). Where applicable, award winners will also be invited to offer practical, hands-on workshop sessions at the Global Festival of Action for Sustainable Development to share their skills and good practices with participants. The entry window will run until 15th January 2018. Submissions will be reviewed by expert group panels, with an additional award – the People’s Choice Award, being selected by attendees at the Festival in advance of the awards ceremony. Do you know a change-making SDG champion who should be recognized? Have you registered to attend the Festival yet? Space is limited! For more information on the Global Festival of Action for Sustainable Development including other ways in which you can get involved, please visit http://globalfestivalofaction.org. Follow us on Twitter, Facebook and Instagram with @SDGglobalFest and #SDGglobalFest. Copyright © 2017 UN SDG Action Campaign, All rights reserved.